The more I fret and list reasons not to be cheerful, the worse the world seems to be and the more I start looking for reasons to conclude that yes everything is going to go horribly wrong. Mark Carney’s gloom filled worst case scenario for Brexit, has interest rates rising to 4%, making my first ever mortgage out of control, the house prices crashing, meaning we can never sell Aidan’s small house in Forest Fields, and losing 40% of my income (never to be seen again) when we crash out of Brexit, due to no more very lovely EDRF funding. I was tossing and turning at night. Jumping straight up in the morning to turn on Radio 4 to listen to experts of politicians argue about the state of the world. And I got more and more invested in the doom. If you know me, you’ll understand ‘invested in the doom’, is not my usual state of play. And amongst all this, feeling a complete and entire sense of helplessness in my ability to alter any of the big issues at play in our country and the world. Then I remembered a strategy I had at another point in my life where I needed to just hunker down and focus on me, and I switched off all the news. When I had cancer, I knew that I had to pull all the focus I had on making myself well. I need to get really localised to the point of just focusing on me and what was happening in my living room, very little else mattered. And it helped me get through a very difficult period in my life. So I’m going to take the same strategy now. I’m switching the news off. Because being anxious about the future and things I cannot control is not going to help my mental health or support my business to grow. It takes my focus away from things I can control, my business, to things I can’t; the world and politics. And while there may be some gasps from some people, wondering if I am going to fall into a pit of ignorance, I say let those gasps be. I need to protect me. And so I say to you, if the state of the world at the moment is making you a little more than anxious maybe it’s time you hunkered down and turned off all the distractions. I’m a great believer in that you attract what you put out. It’s all about the law of attraction. So while I’m worried we’ll lose our house and my business will fold, it’s highly plausible that will happen. So I’m going to shift my focus onto what I can control. My happiness, my thoughts, my clients wellbeing, my business. And I’m not the only one switching off. I was chatting to 2 very established business women yesterday and when I told them my plan to switch off they said they’d done that long ago. 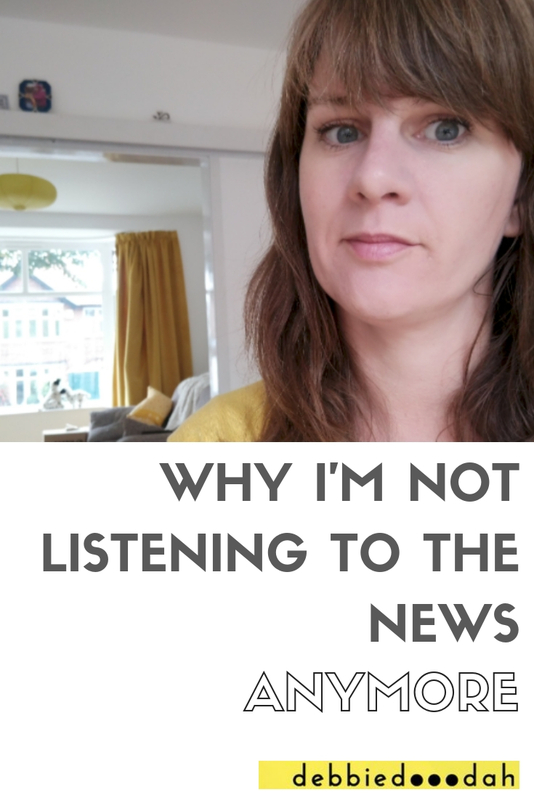 Have you switched off from the news? Older PostIn the funk? Here's 3 ways to get out of it!